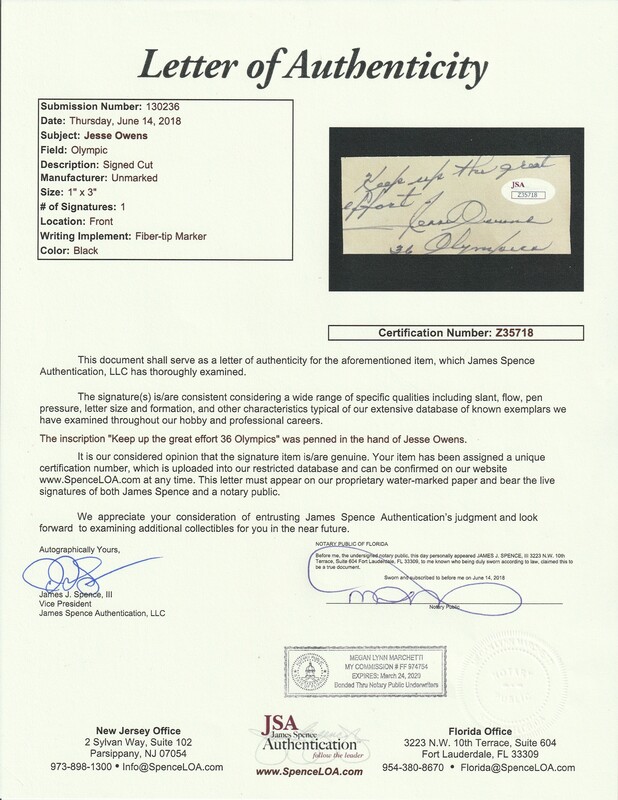 Four-time Olympic gold medalist Jesse Owens has signed this cut. 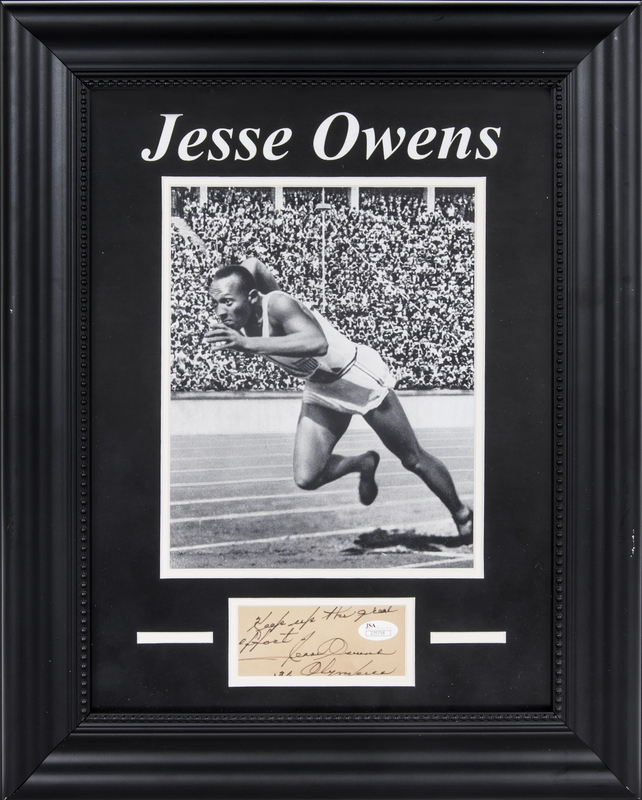 Owens, a track and field star equally adept at sprinting, jumping, and hurdling events, won gold medals in the 100m, 200m, long jump, and 4x100m relay during the 1936 Berlin Summer Olympics. Owens once set three world records and tied a fourth in the span of less than an hour during a track meet at the University of Michigan in 1935 and is widely regarded as one of the greatest track athletes in the sport’s history. Owens has signed this cut in black fine-tip marker, inscribing “Keep up the great effort” and “36 Olympics” in addition to his signature. This cut is matted in a 16 x 20-inch framed display along with a black and white photograph of Owens at the Berlin Olympics. This item comes with a LOA from JSA (Z35718).